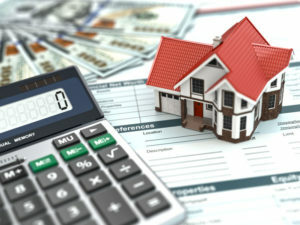 Buying a home – or even refinancing your existing home – can be a complicated process. You need people on your side who can help you navigate the twists and turns that come along with homeownership. RateWinner exists to do just that. They will be your trusted partner, and they will work hard to provide you lower rates and fees than the big-name lenders but with even better, more personalized service. RateWinner goes above and beyond by providing you with access to everything you could ever need to know about getting your first mortgage, a second mortgage, or refinancing your home. With tons of informative content on their website, and more added regularly, you won’t need to shop around to get your questions answered. What’s more, friendly agents are only a phone call or a live chat away, and they can help to clarify things in a personal, meaningful way. RateWinner provides some of the most accurate online calculators in the industry. Whether you’re interested in getting a mortgage that fits your budget, refinancing your home so you can get a lower payment, or even taking out a home equity loan to cover repairs, there’s a calculator for you. Each category comes with multiple categories, so you can always determine how much you’ll be paying regardless of the loan type you choose. Many of the biggest lenders specialize in the standard types of mortgages, but RateWinner can provide them all. Standard fixed rate, variable rate, and adjustable rate mortgages are always available, but you’ll find a variety of other products and services, too. RateWinner can even help you understand the processes behind reverse mortgages, which can provide you with financial freedom after you retire. You can learn more about home equity loans, second mortgages, and more, and RateWinner can help you apply. Most lenders out there don’t really work for their customers. Their main goal is to provide loans to those who qualify so they can collect interest. At RateWinner, things are different. Their goal is to make sure you are familiar with the requirements and processes long before you ever fill out an application. You can learn about the processes involved in getting a mortgage preapproval, whether or not you qualify to refinance your mortgage, and even whether a second mortgage is right for you. You will not be pressured to apply for any sort of loan until you are ready to take the next step. RateWinner is not like the other lenders you know. They are transparent and honest from the first step until the last, and their number one goal is to help their clients better understand the processes involved in homeownership. The team brings 20 years of combined experience to the table, and they will work hard to help you overcome any obstacles that stand between you and the home of your dreams. This entry was posted in Blog and tagged New Purchases and Refis, RateWinner by Scott Li. Bookmark the permalink.